Davidia involucrata is now in full flower with the white blooms covering the trees almost like white doves fluttering in the branches or handkerchiefs that have been picked up by a big gust of wind and spread them all though the tree. I can imagine how thrilling it must of been to first clap your eyes on this tree growing wild and seeing the stunning flowers for the first time just like the first Europeans discovering the tree for the first time. It was one lucky chap , a French missionary called father Armand David who first came across it, flowering away in a Chinese valley in 1871 and sent specimens back to France. The seeds didn’t arrive in Europe for a few more years indeed it was the first plant hunting trip by one of the greatest plant hunters of them all, Earnest Wilson who in 1901 managed to send back seeds to Kew Gardens. This was despite being attacked by bandits, suffering a deadly illness and recovering and finally nearly drowning! Damn glad I don’t have to suffer like that to get my hands on one! Never-less this beautiful tree with heart shaped leaves and seed pods that look like Christmas baubles hanging from the branches, is well worth the effort of going to see one in the next week or so, just admire its beauty! 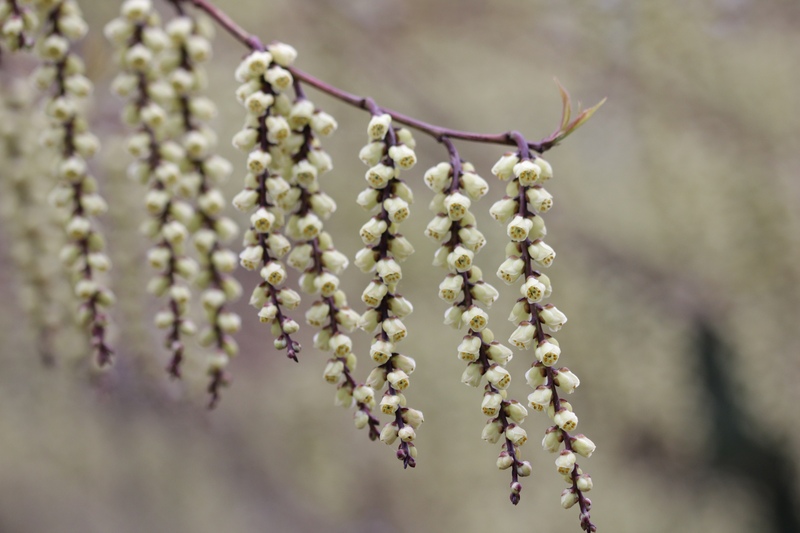 This weeks plant of the week is one that just seems to flower for months and months although I feel it’s March and into April when they really are their best. 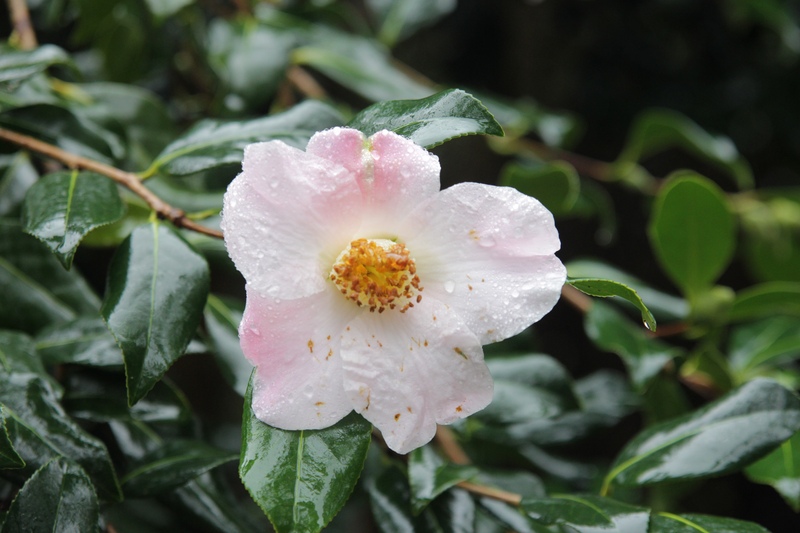 It is certainly one of my favourite plants since i moment I saw it growing in Sir Harold Hillier Gardens, down near the pond, indeed it was the original plant that was introduced by Hillier Nurseries. This original plant of Sophora ‘Sun King’ came from some seed Nothofagus seed sent to Sir Harold Hillier Gardens from Chile. 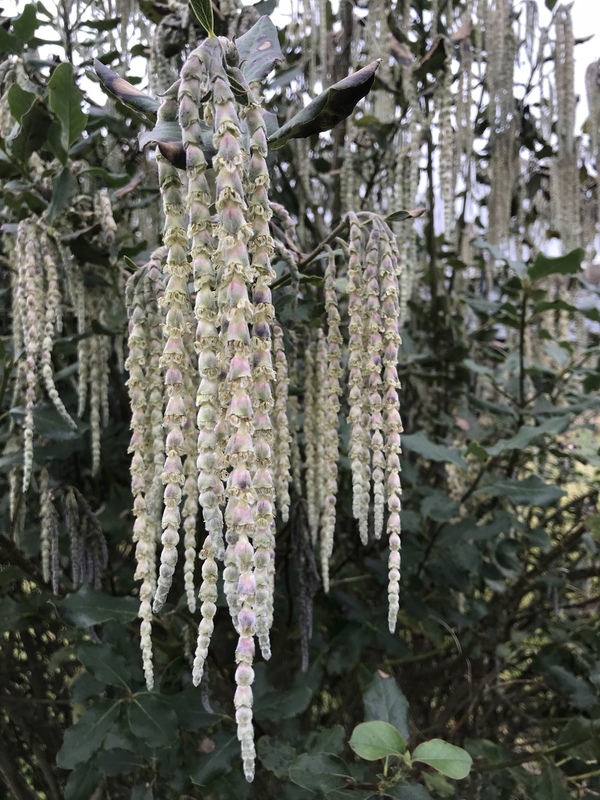 When the Nothofagus germinated it was found to have an interloper amongst them, this grew into a very beautiful shrub indeed, flowering some years later. It was thought to be a form of S.microphylla although it is now thought to of been a hybrid. It was introduced by Hilliers in the late 1990’s after it had done so well at the gardens surviving many cold winters and it is indeed still growing away strong to this day, my photos are of that particular plant! There is a lot of rubbish spoken about Sophora ‘Sun King’ about its height and soil dislikes. It does only get to a maximum size of about 3m in height and width as a few standing shrub, trained as a wall shrub it is able to get a little taller, up to 4m in height but no where near the 8m I have seen written down. Soil wise, Sophora ‘Sun King’ will take most soils from shallow chalk to clay, (yes even read it dislikes clay, the original plant is on solid london clay!) as long as it isn’t waterlogged. Again it will take most aspects although if the garden is particularly cold, a slightly more sheltered spot is better. It flowers much better if it is in a sheltered spot. Sophora ‘Sun King’ starts producing its yellow pea like flowers after its around 8yrs old and these start appearing in January and will continue flowering well into May some years. 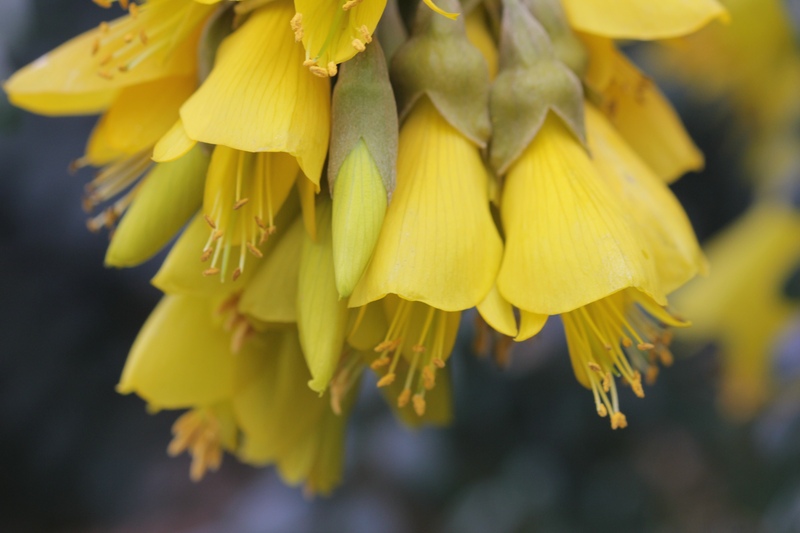 In Chile, the flowers of Sophora sp are mainly propagated by hummingbirds but here in the uk, it’s the bees that help the process. 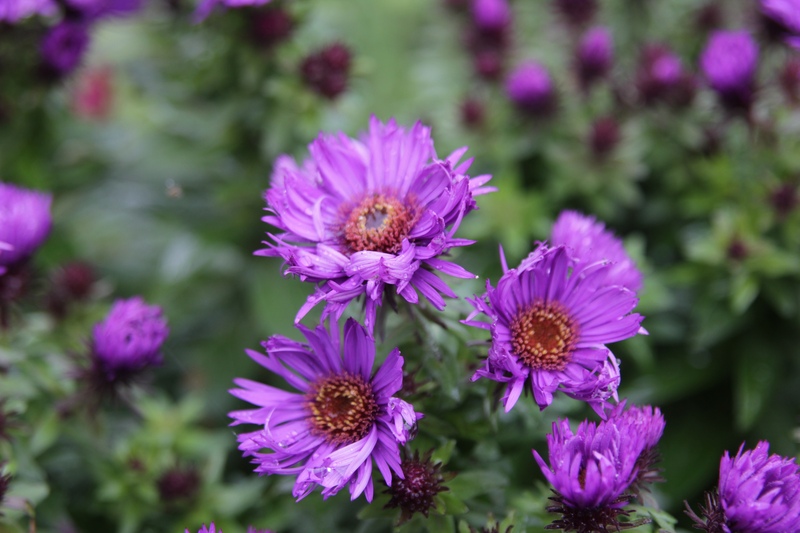 These flowers are offset by the stunning dark green foliage with up to 40 leaflets are used to form each leaf. It is evergreen but in a very hard winter, it will drop its leaves. The Name Sophora comes from Arabic meaning a small tree with pea like flowers. Sun King is partly in homage to its Chilean roots as well as the colour of the flowers. Sophora ‘Sun King’ has very few pests and diseases that attack it apart from the usual slugs and snails when young. Like all plants, it would benefit from a feed of Vitax Q4 in the spring as well as a compost mulch to help increase the health of the surrounding soil. Sophora ‘Sun King’ is propagated by grafting on to a rootstock of Sophora microphylla in the late winter early spring. It is very difficult to propagate from cuttings although I have heard of people succeeding using Air layering methods. Well it’s time for another large group of plants I haven’t featured before, bamboos. They are a very useful group of plants as well, even more so at this time of year, as their bright canes help to enhance the winter garden and there is no bamboo that can do this better than Phyllostachys aureosulcata f. spectablis. Phyllostachys aureosulcata is also know as the yellow-groove bamboo. It is a native of Zhejiang Province, Eastern China and was introduced in the USA in around 1901. In its native sites, it grows on the edges of woodlands and into woodland glades. Bamboos are normally divided up into clump forming and runners. Phyllostachys aureosulcata f. spectablis is a clump forming bamboo and can make a very big plant up to 7m in height and well over 3m wide. 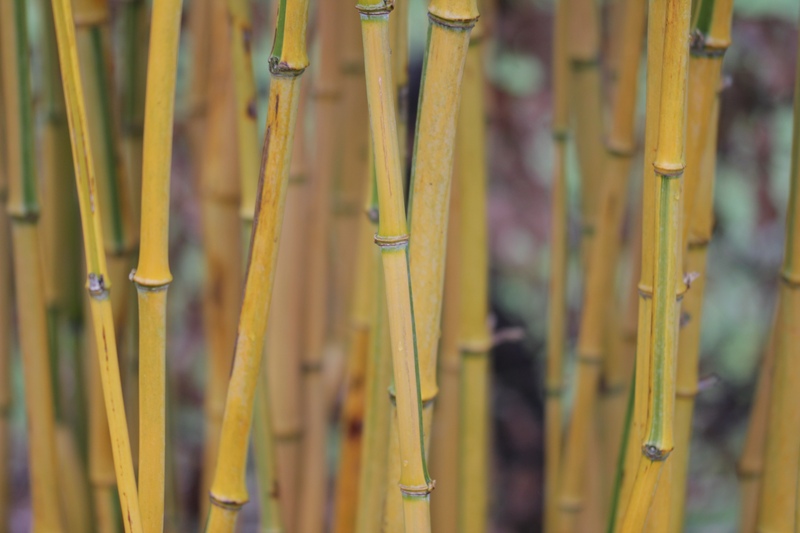 Phyllostachys aureosulcata f. spectablis has stunning yellow stems, that unlike others in the family, has a green strip in the distinctive groove in the back of the canes, hence the common name. They also sometimes make Zig Zag shape kinks in the canes as well. When the new canes emerge from the ground they are called Colms. With Phyllostachys aureosulcata f. spectablis they emerge with a pinkish tinge to them and are quite beautiful indeed. The name Phyllostachys is derived from the Greek phyllon meaning ‘leaf’ and stachys meaning ‘spike’. Aureosulcata is derived from the Latin aurea meaning ‘golden’ and sulcus meaning ‘furrow’. Phyllostachys aureosulcata f. spectablis is a pretty tough bamboo, it will grow in most soils but it does prefer to be in sun or semishade. Even though it is a clump forming bamboo, it still can send out underground stems called rhizomes that help it spread into new areas. It is best to encase the bamboo in a root barrier, leaving enough room for the plant to grow. These clump forming bamboos tend to spread if they run out of food and water, so the best idea to keep them from spreading is to mulch once per year in the spring with garden compost, green waste and ensure that it has enough water during the dry spells. Each cane or colm, grows to its maximum height within 1 year. It is a good idea in each spring to remove a few of the older weaker canes from the clump to keep the clump looking young. It also give the new colms room to grow within the clump. The worse thing you can do is try and control the spread by removing the new canes, this will make the plant want to spread even more as it feels it’s under threat in this space. In the autumn it is also worth removing the lower leaves on the stems up to 5ft to let the stems shine though. Only other maintenance required is cutting back any rhizomes that spread from the plant. It is pretty disease free and is only propagated by dividing up the main clump. It’s height and size makes it prefect to block off not so pleasant views from the garden so is excellent as either a specimen plant or as a screening plant. It can be found at Both Sir Harold Hillier Gardens and round RHS Wisley. It can be brought from many Nurseries including The Big Plant Nursery and Burncoose of Southdown. As soon as Big Ben finishes chiming into the new year, I start seeing the little green spires appearing though the soil and my heart starts to race a little faster. What delights could do that to a fully grown man? Not the start of hops appearing, but the slow start of the snowdrops slowly appearing. These tiny bulbs, with their snowy white flowers are now the equivalent to 17th tulipmania, with some of the bulbs reaching a massive £1300 a few years ago. I have always wondered what the magic was with them, yes I loved the massive displays of Galanthus nivalis, carpeting gardens and woodlands as far as the eyes can see, but I couldn’t see the differences between all the different forms , then one year a couple of years back, it twigged and somehow I started on the slippery slope of becoming a galanthophile! Everything about the snow drop is charming from the Latin name derived from Ancient Greek meaning the milk flower and there are so many common names like Candlemas Bells, White Ladies and Fair maids of February, all describing the first real carpeting flower over the season. Snowdrops are seen to to portray purity, hope and rebirth by most although the Victorian’s it mean death and sorry and was considered to be a harbinger of death. That’s not surprising considering the bulbs are indeed poisonous. However it is used in modern medicine though the compound Galanthamine to treat Alzheimer’s, nervous problems and being researched for use in treating HIV. Although they are spread all around the country they are not a native of the uk but of Greece, they have been spread around Europe and the uk possibly by monks. Some of the best collections happen to be around sites of old Abbeys and there is a old Christian belief that snowdrops represent the Virgin Mary and every candlemas day that falls on the 2nd of February, snowdrops are scattered on the altar in place of her picture. Indeed there are so many traditions surrounding the Snowdrop from all different countries, it is so easy to see how it has become such a desired plant. These tales both encompass Christianity like Eve when she left the garden of Eden, God sent snow to her, as she sat weeping, a angel appeared and took a snowflake, breathed on it and and when it touched the ground, a Snowdrop appeared or the Moldovan one where the Winter Witch didn’t want to let go on her hold of the season when the Lady Spring arrived, a fight broke out between then, the Winter Witch struck Lady Spring and from where her blood touched the ground, a Snowdrop grew and Lady Spring had won the battle. 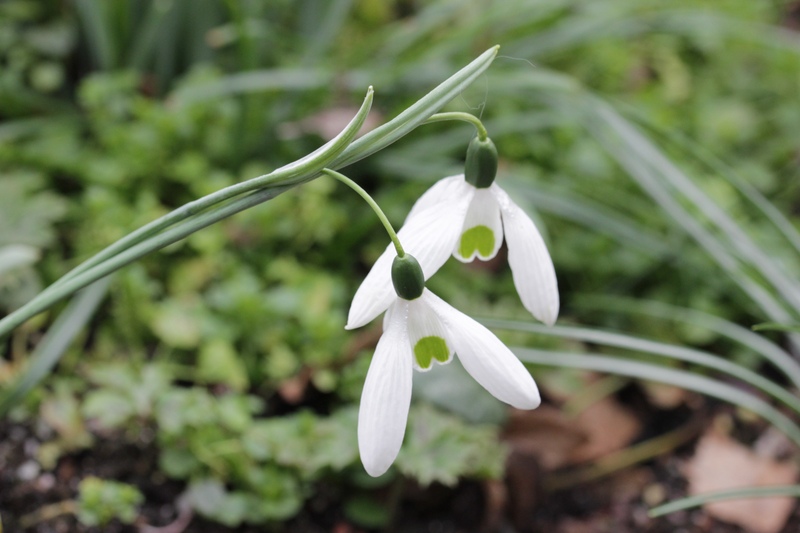 With such lovely tales, how can you not fall in love with a simple Snowdrop? Yes after a couple of weeks break the plant of the week is back and opening up 2018 with a really special plant indeed and one of my favourites. 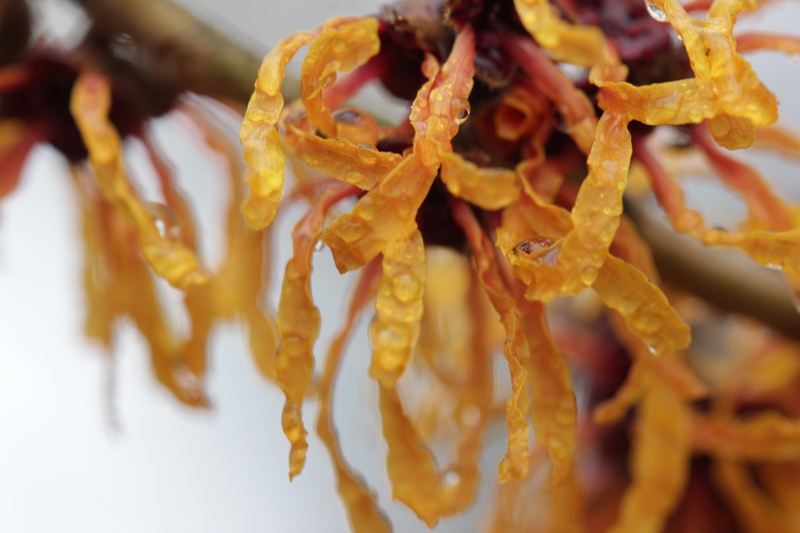 Hamamelis have been one of my favourite group of plants since I was 18 and caught their scent on a cold January day, then I saw their tiny spider like flowers in such a wide of colours and I was even more hooked, even now 27yrs on, they have never lost their appeal to me. 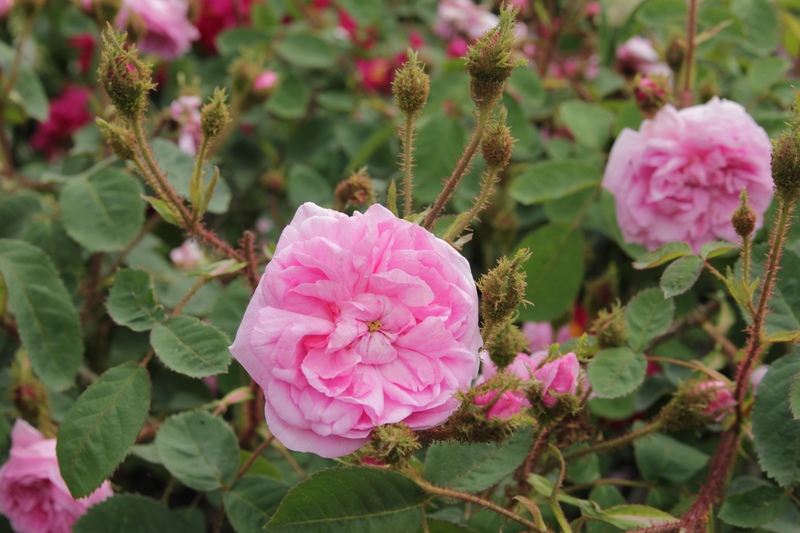 It grows ideally in a moisture retentive soil that doesn’t dry out or get too wet, it dislikes Both greatly, almost as much as it dislikes thin chalky soils, it will tolerate alkaline soils as long as they are deep and loamy. That said it is well worth growing in a big container as long as it doesn’t dry out. When planting, it is worth adding lots of organic matter into the soil as well as some Vitax Q4 so the plant gets off to the best start it can. Once growing, it requires very little care, some formative shaping and removal of crossing branches etc is all that is required for the plant to reach its maximum size of around 3mx3m. There are no pests or diseases that target this plant apart from the normal ones like aphids etc and to make matters even better it’s pretty deer proof as well.